When Navin visited Sameer after a long time, he did not expect to see ladies’ stuff strewn all around. “My wife just throws them everywhere. Anyway, it suits me. A ‘tidy’ house stifles my imagination.” said Sameer. 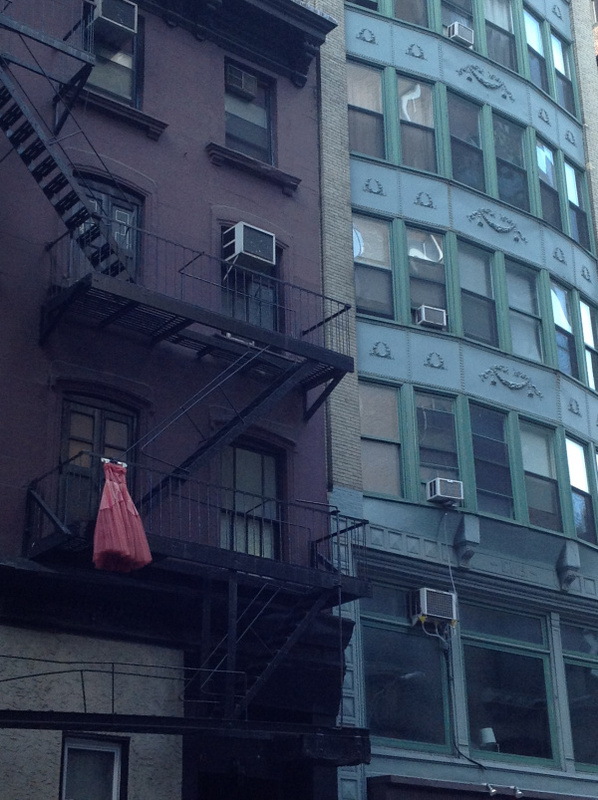 The balcony was comparatively empty, with a lone red dress in the drying stand. As Navin took his leave and walked out, he met his friend, Chand. “Returning from Sameer’s place? How is he? asked Chand, anxiously. Written for Rochelle’s Friday Fictioneers. Thanks to Janet for the photo. That was an excellent twist. Wow. Great twist ending, but so sad. Good job but definitely sad. So many twists and turns. You know how to hold the reader. I love how you explored how people deal with things in their life in a different way. I can’t work out whether Navin is insensitive or Sameer is in denial. This is a very strong table of friendships, good and poor. I didn’t expect this ending – excellent, if sad. I guess losing a loved one can bring on the madness. Great story. Sad and poignant. I guess that’s one way to keep her memory alive. Well constructed. Thank you so much, Rochelle. This time it is kind of satisfying because the story just comes to 101 words.. The present tense in “she throws things everywhere” threw me for a second. Must be hard for him to accept that she’s gone. Well that certainly was the ending we could not see. Very good.